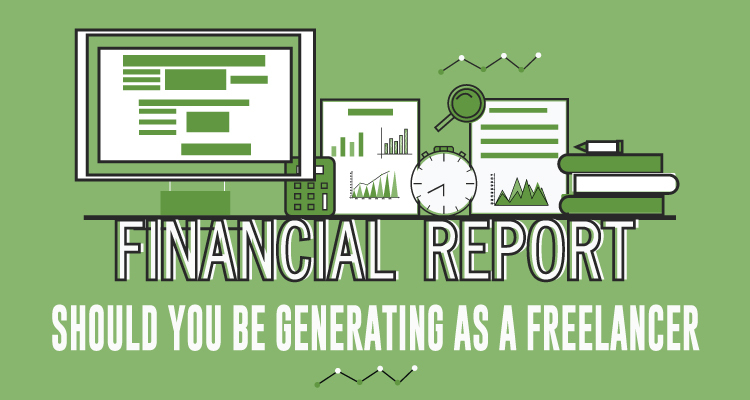 What Types of Financial Reports Should You Be Generating as a Freelancer? When it comes to business financing, freelancers and the self-employed are a severely under-served market. Traditional banks and lending institutions are hesitant to provide financing to the self-employed for a couple of reasons. For starters, banks can’t make much money in lending fees because the freelancer’s volume is so low. Additionally, freelancers and self-employed individuals aren’t known for keeping accurate and organized business records – especially financial reports. You can’t exactly blame freelancers for this problem. Most of us don’t have a background in business or finance, so we don’t understand the importance of financial statements – which are simply formal records of the financial activities of a business. To help get you on the right path, here’s an overview of accounting basics and the types of financial reports that freelancers should be generating for clients. Before we start discussing financial reports, let’s have a brief overview of the accounting basics for freelancers so that you can start effectively organizing your finances. Form W-9. A W-9 form is similar to a W-4 form, and is simply a request for taxpayer identification number and certification. You’ll have to send a copy to all of your clients and vendors. Schedule C is needed to report profits and losses from a business. Schedule SE determines your self-employment tax. Form 1040-ES is used to help you estimate your quarterly taxes, but only if you’re generating more than $1,000 in taxes. A 1099 form is what your clients will use to report how much money they paid you during the previous tax year. There are a couple of different 1099 forms; Form 1099-MISC is used for self-employed people who were paid over $600 and Form 1099-K is if you’ve had 200 or more transactions and your accepted amount exceeds $20,000. Accurately track all income that you receive. 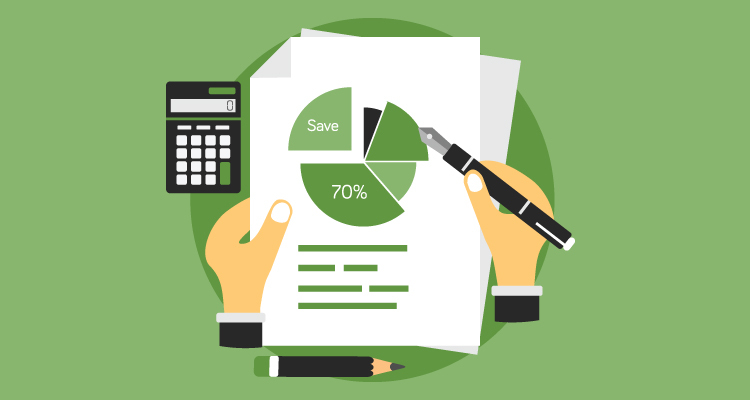 Keep tabs on all of your business expenses, such as office supplies, insurance, and travel. Stay on-top of your invoices by sending them often and following-up on invoices that haven’t been paid. Invest in accounting software like Due, which can be used to track your time and send electronic invoice, and QuickBooks, which is helpful for taxes. Also known more formally as a Statement of Financial Position, your balance sheet simply lists everything that your business owns, as well as what it owes during a specific timeframe. Balance sheets provide details regarding your assets, liabilities and owners’ equity. However, balance sheets do not show the money that is flowing in and out your bank accounts during this specific period. Assets, which are the economic resources you own and could be sold. This could include everything from cash, vehicles, real estate, equipment, inventory, and even intellectual assets like trademarks and patents. Liabilities are the financial obligations that you amounts you owe, such as loans, rent, vendor accounts, payroll, and taxes. Liabilities can also include as any future obligations to provide goods or services to customers. An income statement, also known as the Profit and Loss Statement, should be pretty obvious. It simply displays revenues during a specific time period, such as a month, quarter or year. Income statements also show the amount of money that you spent in order to generate that revenue, aka expenses like salaries and wages, depreciation, and rental charges. Ultimately, this shows what your business earned or lost over this timeframe and can be determined by deducting expenses from income. If you need a more detailed explanation of income statements, I recommend reading the following guide from the Accounting Coach. “A cash flow statement is a financial report that describes the sources of a company’s cash and how that cash was spent over a specified time period,” according to Inc.com. “It does not include non-cash items such as depreciation.” Cash flow statements can be used to determine “the short-term viability of a company, particularly its ability to pay bills.” Cash flow statements are essential when you need to borrow, so it’s suggested that you “study a cash flow statement at least every quarter. Generally, cash flow can be classified into the following activities; operating, investing, and financing. Most freelancers don’t have the resources to hire an accountant or bookkeeper – especially when they are just starting out. Because of this, it’s up to you to not only educate yourself in some accounting basics, but also maintain accurate and organized records so that you can create financial reports like a balance sheet, income statement, and cash flow statement. If not, you may have a tough time trying to obtain a loan or staying out of trouble from the IRS. Next PostWhat Is The New 3-D Secure Specification For Payments and Transactions?